Every one knows that Linux is the open sources computer operating system. Linux is not hard to operate, similar to other operating system(Windows, MAC OS X). This operating system has great space among users due to its simplicity, easy to use and useful features and functionality. It provides attractive and simple user interface which make it more popular among users. Linux getting more lovers everyday who are using its software and tools. Any kind of virus never attack on this Operating system, totally free from virus and this open sources is free to use. Linux is great for viewing, editing, organizing, and creating graphics. This operating system supports every type of software like video software, audio software, photo editing software, designing and development related software and many more. Today we come with some best video editing software for Linux users. Visit this list, find your favorite one for editing videos and movies according to your requirement, try this and having enjoy with your favorite videos via editing or manipulating. You can share your thought in our comments section below. I hope you will love to use these best software for Linux operating system. Cinelerra does primarily 3 things: capturing, composting, and editing audio and video with sample level accuracy. It’s a movie studio in a box. Virtual Dub is an impressive Open source package that is regularly updated by its author. Note that it doesn’t handle some video formats like DVD or MP4. And like all video software, it needs a pretty fast PC. Avidemux is a free, open source, cross-platform, slim and easy using video editor that provides users the ability to cut, join, transform videos easily. You can use it to split, merge the videos you downloaded from YouTube, then play the output video on your favorite devices like Apple iPhone, Apple iPod, Optical Disc( DVD, VCD, Super Video CD ), Sony PlayStation Portable. 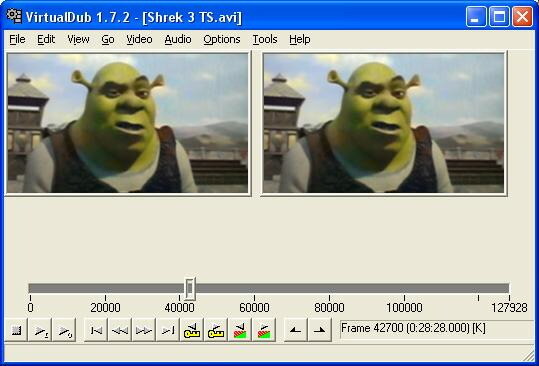 Kino is a non-linear DV editor for GNU/Linux. It features excellent integration with IEEE-1394 for capture, VTR control, and recording back to the camera. You can load multiple video clips, cut and paste portions of video/audio, and save it to an edit decision list (SMIL XML format). The information here on Kdenlive is very out-of-date. It uses MLT, not PIAVE, and accepts many formats thanks to FFmpeg. Also, this article should mention OpenShot and PiTiVi. It should not mention VirtualDub, which is a Winodws program or Kino, which is no longer maintained for years now.